Vivo's recently announced sub-brand iQOO will launch its first smartphone on March 1. The company has already confirmed some of its features - one of which is the 44W fast charging. And, some snapshots that have leaked online show us that this charging tech will fully charge the phone under 50 minutes. 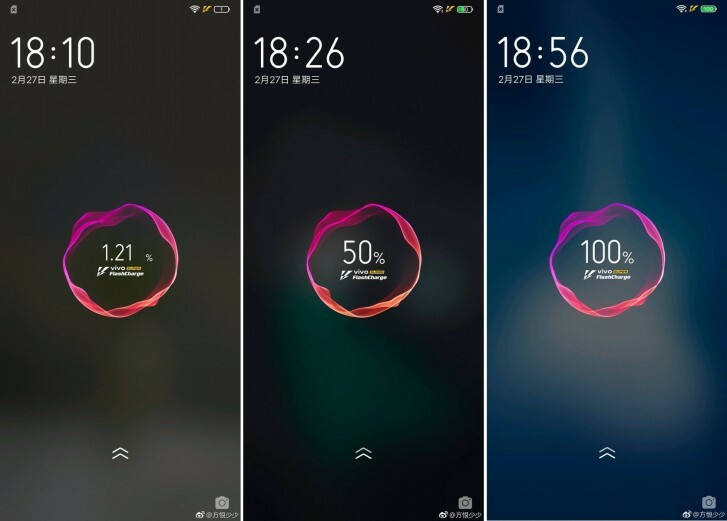 These snapshots show the battery level on vivo iQOO smartphone going from 1 to 100% in 46 minutes. It charges up to 50% in 16 minutes but takes almost double time to go from 50 to 100%. Well, this is the natural behavior across the majority of the fast charging technologies as their emphasis is on quickly providing a top-up to the battery and then slowing down the speed of charging to avoid any damage. The leaked snapshots further reveal that this 44W fast charging tech will be called vivo Super FlashCharge, or maybe just Super FlashCharge. Two days ago, the vivo iQOO smartphone appeared on TENAA with model numbers V1824BA and V1824A. The TENAA listing didn't have the images of the phone, but it did reveal all its specifications. 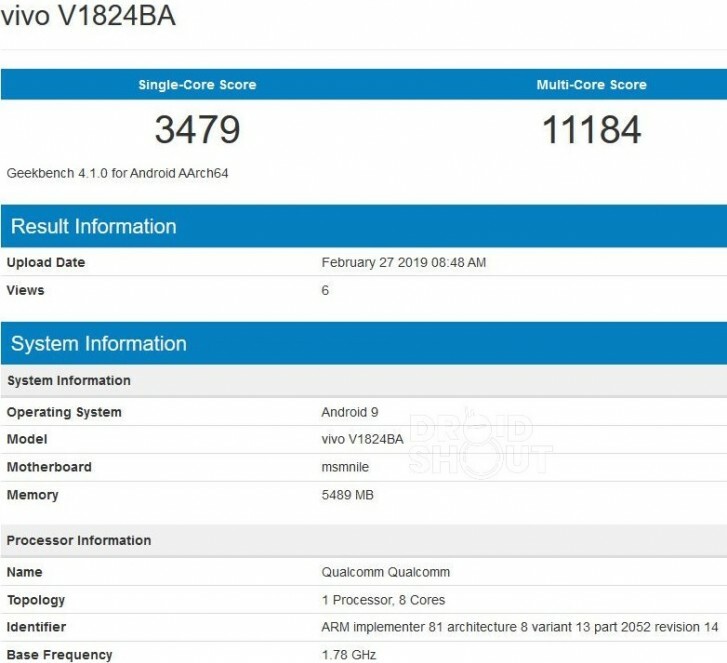 Now, the smartphone with model number V1824BA has appeared on Geekbench with Snapdragon 855 SoC, 6 GB RAM, and Android Pie. The smartphone made a score of 3,479 and 11,184 points in Geekbench's single and multi-core tests respectively. iQOO has already confirmed that this smartphone will come with Snapdragon 855 SoC with 12 GB RAM. It will sport a Super HDR display and have 256 GB of storage onboard. The smartphone will ship with a 4,000 mAh battery which will draw power from a USB Type-C port. Rest of the specifications that were not revealed by iQOO were revealed by TENAA. Those include a 6.41-inch Full-HD+ AMOLED display and an in-display fingerprint scanner. The smartphone has a triple-camera setup at the back consisting of 13 MP, 12 MP, and 2 MP cameras. It also has a 12 MP camera for selfies and video calls, but it's unclear whether this will be an elevating camera, an in-display camera, or just a regular camera located inside a notch. What is this outdated technology that you're referring to? Not always true. With the outdated technology, phone charge longer, emit heat, and degrade the battery more that way.